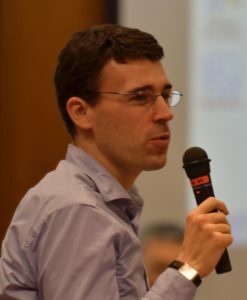 Sebastian VEG (PhD, University of Aix-en-Provence) is Professor of Intellectual History of 20th Century China at the Ecole des Hautes études en sciences sociales (School for Advanced Studies in Social Sciences, Paris) and Honorary Professor at the University of Hong Kong. His research has focused on the intellectual, literary and cultural history of 20th century China and Hong Kong, with a particular focus on the connection between texts, public spheres and the social history of political concepts. His first monograph was devoted to Chinese and global representations of the 1911 Revolution (Fictions du pouvoir chinois: littérature, modernisme et démocratie au début du 20e siècle, EHESS Press, 2009). His second monograph on grassroots intellectuals in China since the 1990s is currently under review. He has also published a series of articles on post-handover Hong Kong in the Journal of Asian Studies, China Quarterly, New Left Review and Journal of Chinese Cinemas. From 2011 to 2015, he was the director of the French Centre for Research on Contemporary China, a publicly-funded research center and think-tank based in Hong Kong, as well as the publisher of its academic journal China Perspectives. He is currently a member of the editorial boards of China Perspectives and Twentieth Century China.